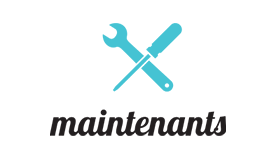 Maintenants is a new service from base that teaches tenants the key skills required to fulfil the day-to-day maintenance requirements of their property. Many of the skills taught will be useful throughout a Tenant’s property life. Many Tenants enter the rental market with little or no knowledge of the workings of their home. Agents andLandlords alike often simply expect Tenants	to be knowledgeable and this can lead to issues during a tenancy that could easily be avoided. We believe in empowering and educating Tenants- holding them on an equal footing to our Landlords. We want to share our property knowledge with our Tenants- enabling them to tackle basic issues should they arise. The 30-60 minute tutorial will walk you through the key elements of your home and teach you vital but basic maintenance skills. Topics covered will include: how to bleed radiators, pressure balancing your boiler, drain maintenance, heating controls and much more. Many of the skills the Tenants learn will be useful throughout their property lives - as Tenants or Property Owners. Empowering your Tenants by educating them in the running of your property has multiple benefits. Firstly, you can be sure that the Tenants know how to use and maintain	their appliances (such as defrosting the freezer regularly or setting the heating controls) so you don’t get that unexpected call when they first turn on their heating. Secondly, you could actually save money on unnecessary engineer call outs- bleeding radiators & balancing the system is an easy task to teach in many cases and a common issue with ill-informed Tenants. Finally, Landlords can take pride in valuing Tenants by empowering them with vital property life skills. If you take up the maintenants service, it will form part of the Check In at the Property at the start of the Tenancy. It is best if all Tenants are present as there is no extra cost regardless of how many are on the Tenancy. The tutorial last approximately 30-60 minutes depending on the size and complexity of the Property and the Tenants current knowledge. For Let Only & Management Only	properties, the service is offered for just £60 + VAT. You will only need one maintenants tutorial for the duration of your Tenants stay. Maintenants can be purchased by Landlords or Tenants. For our Let & Managed	properties, the service is completely FREE. Maintenants forms a new feature of our multi-award winning and highly comprehensive Letting & Property Management service.